GS08 — Graphic Art Supply, Inc.
GraphicShield™ UV CAST VINYL ULTRA GLOSS, GLOSS, LUSTER & MATTE laminating films are clear cast 2 mil vinyl over laminates with a permanent pressure-sensitive adhesive. 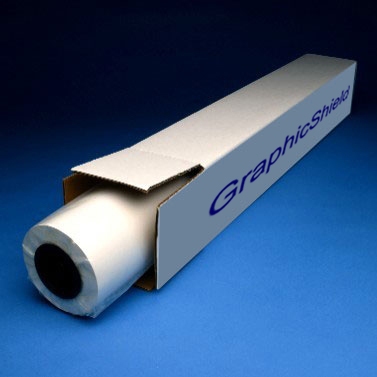 UV CAST VINYL laminating films provide optimum viewing in any lighting environment. When used in conjunction with printable cast vinyl, either material can be used for long-term vehicle graphics or outdoor promotional signage. UV CAST VINYL is ideal for applications that need to conform to curved and irregular surfaces.